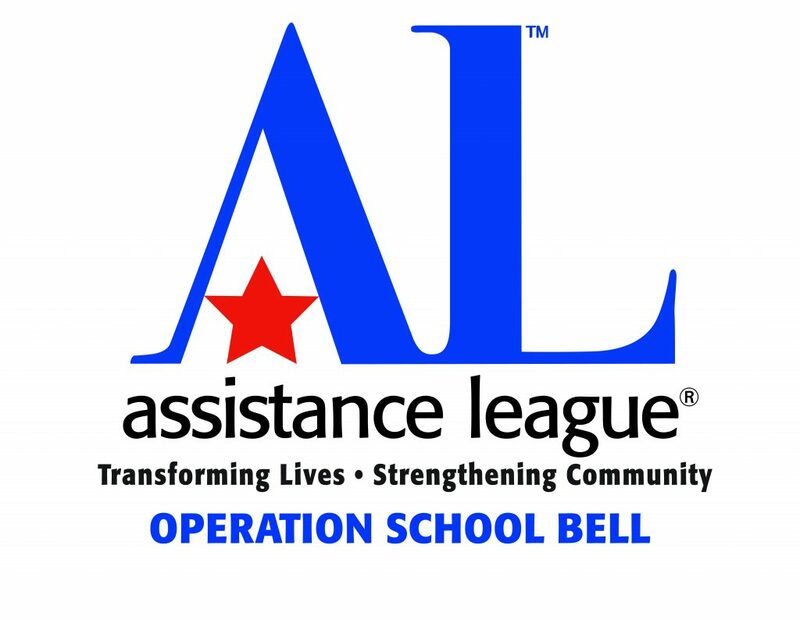 Since 1983, Operation School Bell has dressed in excess of 7,000 students!! Children who go to school without adequate clothing often suffer low self-esteem. 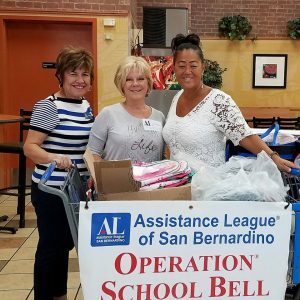 Students (K-12 grades) are identified by San Bernardino City Unified School District personnel and brought to Operation School Bell by school personnel. 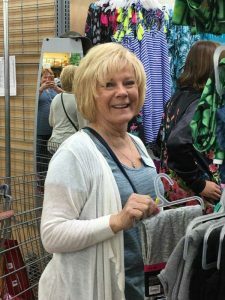 Students “go shopping” for brand NEW clothing and are outfitted from head to toe with the assistance of one of our caring member volunteers. 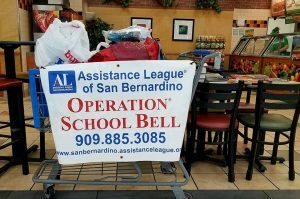 The children of San Bernardino served by Operation School Bell are from families of every ethnic, religious, and racial background who cannot afford to buy new clothes. 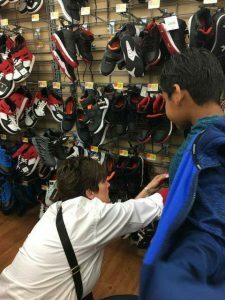 The simple act of providing new clothing to a child has strengthened self-esteem, promoted school attendance, and inspired scholastic achievement in children who have participated in Operation School Bell. 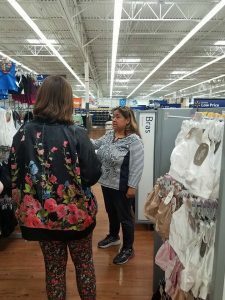 Often, this is the first set of new clothes a child has ever had. 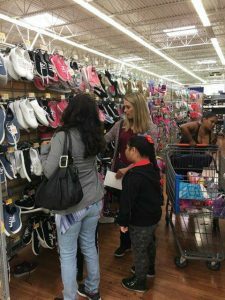 During the 2017/18 school year, 316 Kindergarten through 12th grade students visited Operation School Bell. The children all left with a huge bag of new clothes, wide grins and a renewed sense of confidence. 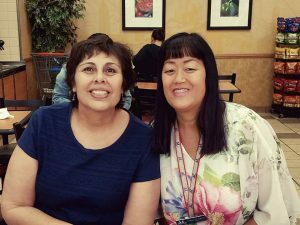 Donations of sweaters, sweatshirts, jackets, toiletry items, backpacks, and books are always needed and welcome. A tax receipt will be provided. Contact us if you or your group would like to participate and/or donate items. 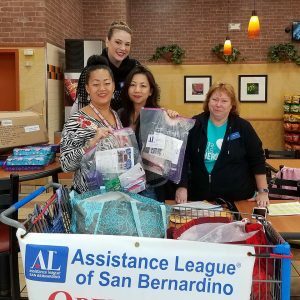 Assistance League of San Bernardino is an all volunteer, non-profit organization that puts caring and commitment into action through philanthropic programs in San Bernardino and surrounding communities.